← Can bipartisanship keep Trump at bay? Time was when those who held such sentiments felt they had to sneak around. The KKK hid beneath their sheets and pointy hats. Lynchings occurred under dark of night. No one is tiptoeing around these days. The intensity of hatred has exploded into the open, the shame of such anti-American attitudes has disappeared, and the level of civil discourse has hit rock bottom. These scumbags (yes, Hillary was right to call them deplorables, though she did so inartfully and painted with too broad a brush) have been issued a standing invitation by our President, Donald J. Trump, to give full throat to their basest impulses and animosities. Trump’s response decrying violence was as convincing as a hostage tape. 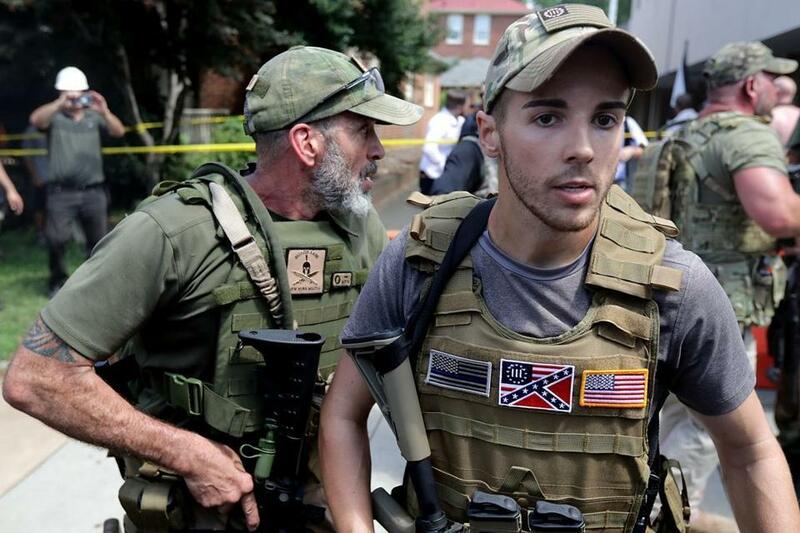 Worse, he decried violence “on all sides,” creating a false equivalency between the heavily armed and military-garbed right-wing protesters and the anti-fascist demonstrators, including Black Lives Matter participants. He failed even to name neo-Nazis, white supremacists, and Klansmen, an omission that rightfully provoked outrage from Democrats and Republicans alike. However much Trump may back and fill, finally being pushed into naming the white supremacist perpetrators, his initial utterances reflect who he is at his core. But the North will not be immune to such violent confrontations. Under the banner of the “New Free Speech Movement,” a group of right-wing activists plans a rally on Boston Common this coming Saturday. Its members disavow connection with the Charlottesville rally or its organizer, white nationalist blogger Jason Kessler. Members of Black Lives Matter and others will organize a counter-protest. It could be a recipe for disaster. This will be a test for Boston, not just for its police, whose professionalism will be paramount. It will also test whether we are capable of protecting the Free Speech rights of everyone, no matter how execrable their message, while not resorting to violence and chaos. This is a challenge that, I hope, no one is taking lightly. This entry was posted in Uncategorized and tagged Black Lives Matter, Charlottesville Virginia riot, David Duke and Donald Trump, eliminating Confederate symbols, Hillary Clinton's deplorables, Jason Kessler blogger, Ku Klux Klan demonstrates openly, neo-Nazi rally, New Free Speech Movement, President wishy-washy on Alt-right, Rally planned for Boston, white supremacists march. Bookmark the permalink. 1 Response to Charlottesville: could it happen here? If it weren’t for you, most of us would be sleeping soundly through the night. God help us.